I am pleased to offer you this slim and beautiful 50 page high quality book to improve recognition and engagement where you work. Most readers have already requested bulk orders to get everyone in their organization on the same page with recognition and engagement! 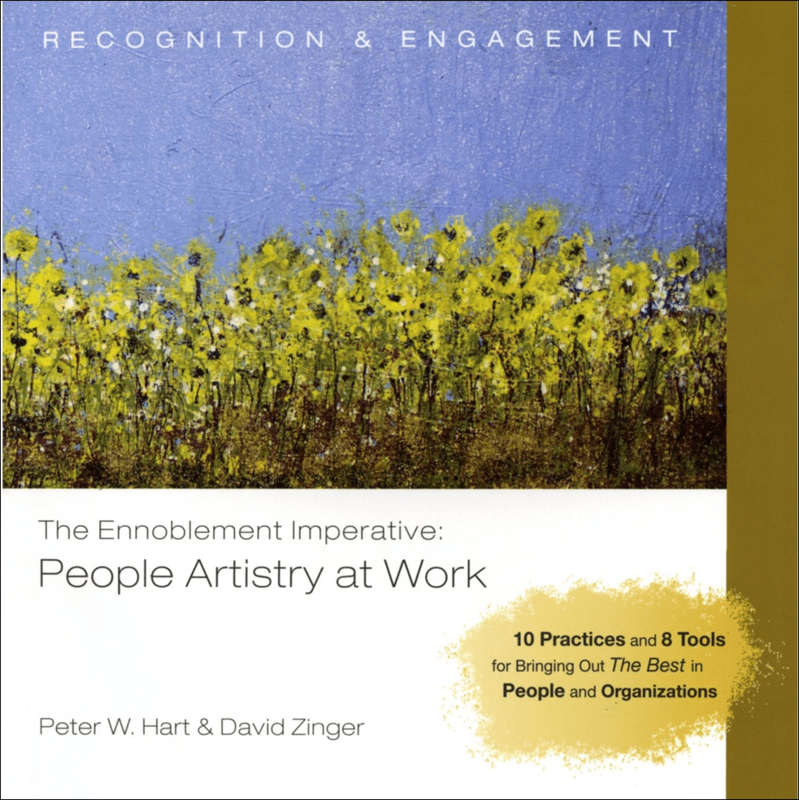 People Artistry was co-authored with Peter W. Hart from Rideau Recognition and the paintings we used to illustrate the book are all originals from Peter. To open a one page PDF owner’s guide for the book click on the following link: People Artistry an Owner’s Guide. Early readers told us this is more than a book on recognition and engagement, it is a gift. They not only read the book most of them bought copies for other leaders, managers, supervisors, and employees at work. It is a tremendous value at $9.95 and includes a beautiful envelope to give as a gift. For more information or to order multiple copies as a gift of recognition where you work. Contact David Zinger at david@davidzinger.com.